This quilt just came back from being in a modern quilt show here in Gainesville. The gallery manager at Santa Fe, Kyle Novak, did such a great job hanging the quilts–they looked gorgeous! I loved seeing all our guild members’ work together. I, however, was too busy chatting to take any decent pictures–sorry! It was great to see, even in this small show, how eclectic modern quilting can be. And as much as I love quilting blogs (and I do! )–there’s nothing like seeing quilts in person. I can only imagine what it is like to go to a massive quilt show like QuiltCon! 2015 is on my wish list for sure. 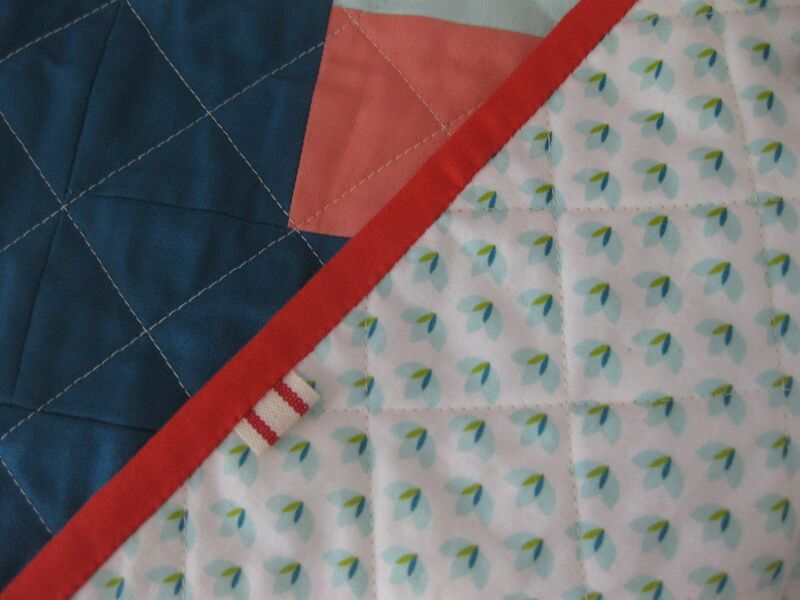 Even though I love this quilt–something about those colors–I’ve added it to my Etsy shop. I have big plans for quilts to make in the new year–can’t wait to get started! This entry was posted in Modern Quilt Guild, quilts and tagged Etsy, modern quilting, QuiltCon on December 20, 2013 by brigitdermott. 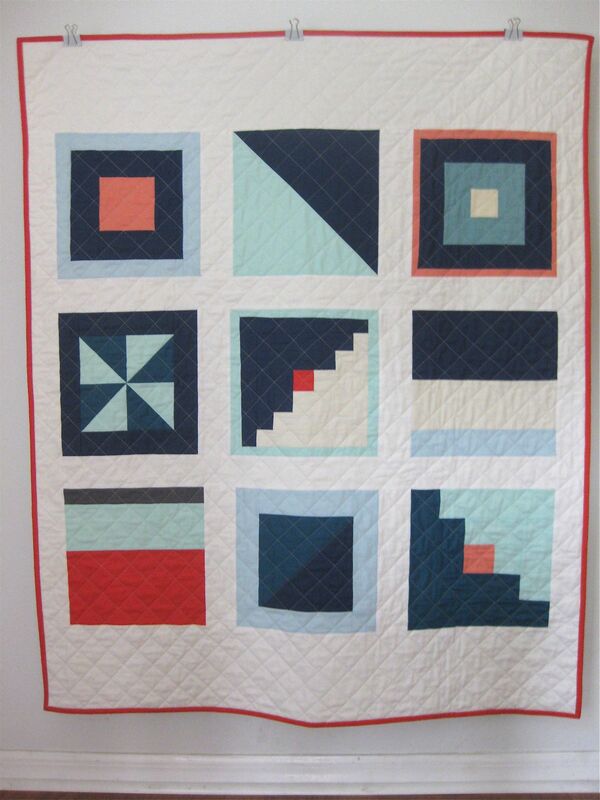 The squares go very well together, and what a great color scheme! Looks fantastic! Definitely a great example of modern quilting. Have a Merry Christmas! Thank you so much for kind comment and Merry Christmas to you, too!